Being a well-known ex-cop isn't all it's cracked up to be. 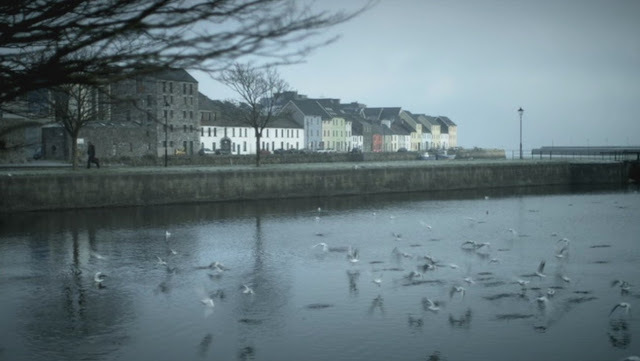 In this case, the former police officer is Jack Taylor and the setting is the Irish city of Galway. Iain Glen plays the unconventional character in this new release of the first 3 films made based on the characters from the novels of Ken Bruen. Episode 1, titled "The Guards" begins with Jack assaulting a high-ranking politician after a short car chase, leading to his dismissal from the Guards (in Ireland the police are referred to as the Guards or the Garda Síochána). Jack, who also has a severe alcohol problem, is left with little option but to accept an offer of money in order to investigate the disappearance of a missing young woman. Even though he refers to private investigators as being awfully close to informers in public opinion, Jack starts a new career as a "finder." In addition to the one missing girl he's attempting to find, Jack is soon also caught up in the investigation into the deaths of four other young women who have been found in the river in startlingly similar circumstances. The Guards are quick to dismiss the deaths as suicides, but Jack isn't so sure. His old colleagues on the force, including the gorgeous Kate Noonan and the generally sympathetic Superintendent Clancy, pop up from time to time with varying degrees of helpfulness. Mostly, they just try to get Jack to return his "regulation Guard-issued all weather coat," to which he still has an inexplicable attachment. Before the case is solved, Jack will gain a love interest and lose several good friends. During the second episode, The Pikemen, Jack picks up a sidekick in the person of eager young wannabe PI Cody Farraher (Killian Scott). A year has passed since the events of the previous episode, and Jack has returned to Galway after some time in London to investigate a suspicious death. In this case, an old friend of his late father asks Jack to find out what happened to his son, who fell to his death from a building. Once again, the Guards are only too eager to stamp the case closed after deciding the death was a suicide. As Jack attempts to discover what really happened, he begins to hear stories about a vigilante group in Galway who are meting out their own forms of justice. Apparently, this type of informal punishment seems to be having a positive effect, as a news report on TV states that Galway is now the "safest town in Ireland." Jack is disturbed by the brutal punishments being handed out in the name of justice -- a burglar has his arm cut off, another criminal has his tongue cut out, and so on. Jack begins looking into the vigilantes (who call themselves the Pikemen, after a group of Irish rebels from the 18th century), and is approached by a young man who wants to be his assistant. At first, lone-wolf Jack is dismissive, but then he begins to see how a pleasant-looking young assistant could be useful in doing a lot of tedious tasks, such as research and the questioning of witnesses. 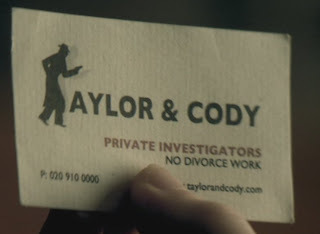 Soon the "Cody and Taylor" agency is hard at work on the case. The final episode in this series, "Magdalene Martyrs," takes a look at an issue that has been in the news recently: the brutal conditions that young, unmarried girls endured when sent to Irish Catholic-run institutions in the 1960s. In this case, a woman approaches Jack to help her uncover the true identity of "Lucifer" a brutal nun mentioned in her recently-deceased mother's journal. The mother has recently committed suicide, and after reading the diary, the woman is certain that the cruel treatment her mother received during her time as an inmate at "St. Monica's Laundry" is the reason behind her mother's death. Jack has little to go on, and soon a known gangster is demanding that Jack turn over the diary to him -- and keep his nose out of the case. At the same time, the sons of one of his former police colleagues are brutally ambushed and killed, and Jack is attempting to get to the bottom of their deaths as well. Jack's cold and distant mother may also have some information about what happened in the laundry so many years ago. I found this series to be quite entertaining. Jack can be a bit hard to like sometimes, with his heavy drinking and his disregard for the rule of law (when it suits him). His genuine concern for getting to the bottom of things, however, as well as his loyalty to those around him do help to make him more human and sympathetic. I see that there are several other Jack Taylor episodes that were shown in 2012, so I'm looking forward to seeing more of Jack and Cody in the future! 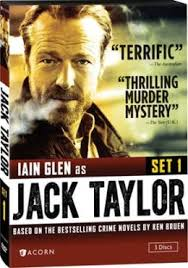 Disclaimer: I received a copy of Jack Taylor: Set 1 from Acorn Media in exchange for this review. 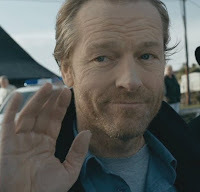 Great series and I really enjoyed Iain Glenn's portrayal of Jack Taylor, but as to his attachment to the coat being inexplicable..... there may be psychological reasons, unwillingness to accept the fact of his dismissal, need for some tangible link with his past career etc, but I just think he needed it to keep dry - have you been to Galway?